Vectors are illustrations that use lines, points, and curves to be created and are widely used in the field of digital design. What makes vectors so amazing is the fact that they are easily scalable and transferable without losing the quality of the original images. This, of course, is unlike pixilated images where increasing or reducing the size of a graphic results in poor quality. Developers often use Corel Draw and Adobe Illustrator to create vectors such as icons, buttons, UI elements, logos, images, and other graphics of their choice. However, sometimes all we really need is a pre-designed vector to save ourselves time and complete our projects before the deadline. You may also like best sites for free vector art download. Here are best places you can find and download high quality vectors without having to worry about licenses or royalties. 1001 free downloads is one of the best places to search for free vectors, photos, icons, fonts, wallpapers, brushes, and so much more. Here, vectors are updated daily. So you can find a handful of cool graphics to choose from. All of the vectors are free for personal and commercial use. However, attribution may be required. For your convenience, there’s a quick and easy guide that details how to give attribute to the website. Freepik is another easy-peasy solution to finding free vectors online and incorporating them into your projects. Here, you can find free vectors, PSDs, icons, photos, and more. Type in a relevant keyword (it’s best to see the keywords suggested in the drop down menu) and just hit search. A popular keyword should gather hundreds of results! Top brands such as Adobe, Smashing Magazine, Sitepoint, and Awwwards have used Freepik for their projects as well. 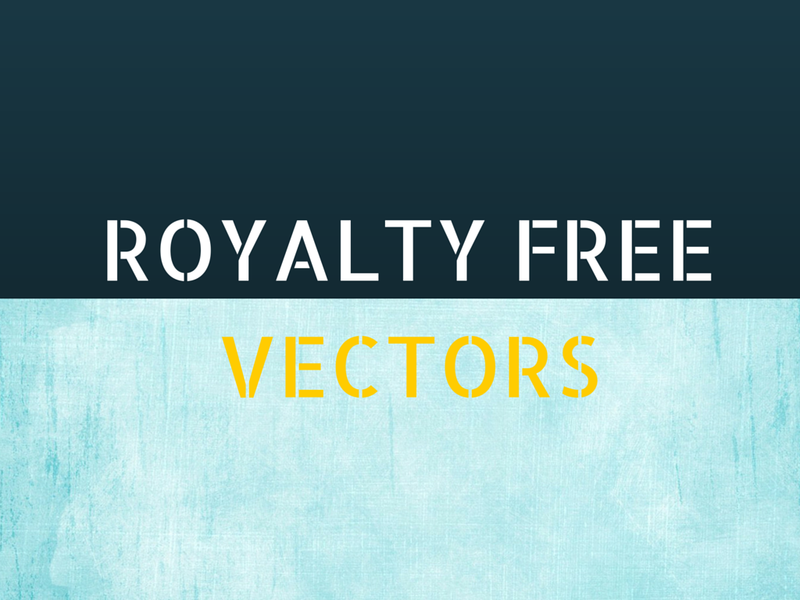 Freevector’s community says they love free vector art and graphics. So do we! This is a place where all vector lovers, designers, and developers come together to share free vector art to use for any personal or commercial project. Use the search bar to find what you’re looking for and when you do, make sure you check the licensing (just in case). Vecteezy makes it real easy to find high quality and relevant vectors of your choice. Artists and designers from all around the globe submit their vector art here to share with anyone who may need it for personal or commercial use. If you don’t want to use keywords or the search bar, you can also search your vectors by category. Their gallery is one of the most comprehensive ones you can find. So, we’re pretty sure what you’re looking for won’t be too difficult to find. Don’t be fooled by name. This isn’t a place only for icons (although you’ll find plenty of vector icons too). Dry icons is also full of fabulously designed, high quality vector graphics. Currently, it has over 1700 vector graphics.—and still counting. Here’s another website dedicated to provide the best vector collection to designers and developers for free. If you like, you can browse all the vectors, but you may also use the search bar to look for something specific. A button at the top allows you to view the most popular vectors, which is an easy way to find some of the best resources available on the website. Here you can find some of best high quality collections of free vector art, vector icons, vector patterns, and brushes. You can easily browse by category of over 45 different types of vectors. You can also use a search bar, if you prefer. Make sure you check the licensing on each before you download because some of them are not free for commercial use, may require attribution, etc. Vector open stock updates new designs of vector every day. Currently they have a collection of 11,378 vector art and illustrations. You can easily sift through featured, latest, and trending vector art to find what you are looking for. You can also search by category, if you prefer. If you’re interested in downloading vector backgrounds, this is a great place to look since is it solely dedicated to it. You can find vector backgrounds of all colors and types. There is also a search by category option (i.e. texture, wood, holiday, seasons, flowers, etc). This is one of my favorite places to look for design tips and freebies. Founded by Mauricio Duque, this is a great website full of amazing freebies. You can find vectors, brushes, textures, backgrounds, and more. They are all offered under the Creative Commons 3.0 license, meaning they are free for personal and commercial use as long as you attribute it to Mr. Duque. Skornia Alison works as a social media analyst for an online firm, where clients ask, write my essay for me. Due to her expertise in the field, she’s into exploring and analyzing trends and techniques on how digital social connectivity can be best put to use in diverse markets.